HOLLYWOOD, CA – Paramount Pictures, Skydance, Bad Robot and director Justin Lin today announced that the world premiere of “STAR TREK BEYOND” will play in the immersive IMAX® format at Comic-Con International: San Diego, in partnership with the San Diego Symphony Orchestra and IMAX Corporation, on Wednesday, July 20, 2016, at the Embarcadero Marina Park South. The red carpet event at San Diego Comic-Con, which marks the first-ever open-air IMAX world premiere, will feature special appearances by Lin and the “STAR TREK BEYOND” filmmakers and cast, as well as a live concert performance of Academy Award®-winning composer Michael Giacchino’s film score by the San Diego Symphony Orchestra. Lin made the announcement at the STAR TREK FAN EVENT, where all fans in attendance were invited. As a special event for this year's Comic-Con attendees, fans will have the chance to attend the world premiere of “STAR TREK BEYOND.” Details about ticket distribution will be announced prior to the 2016 convention. 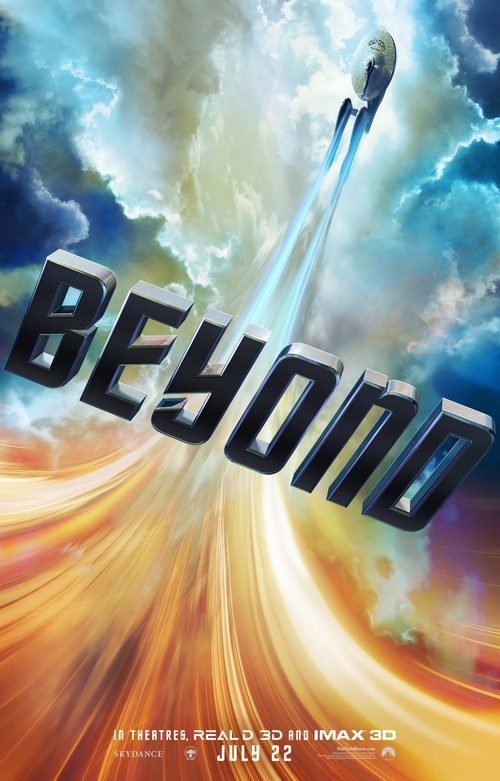 The IMAX® release of “STAR TREK BEYOND” will be digitally re-mastered into the image and sound quality of The IMAX Experience® with proprietary IMAX DMR® (Digital Re-mastering) technology. The crystal-clear images, coupled with IMAX's customized theatre geometry and powerful digital audio, create a unique environment that will make audiences feel as if they are in the movie. “STAR TREK BEYOND” opens in theaters and IMAX® beginning July 22, 2016.